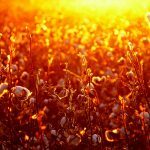 In this post, Rahul Bajaj, our Spicy IP Fellowship applicant analyses the recent order passed by the Ministry of Agriculture to regulate not only the maximum sale price of cotton seeds but also the royalty fees paid to bio-tech companies like Monsanto. This is Rahul’s second submission for the fellowship. Even as the Indian government is making a concerted effort to woo foreign investors by transforming India into an innovation hotbed through initiatives like “Make in India”, many of the Government’s actions do not seem to be consonant with this goal. The most recent glaring example of this is an order by the Ministry of Agriculture which seeks to regulate the sale price of genetically modified cotton seeds, especially Bt cotton. As we have noted on this blog before, the issue of price regulation of Bt cotton is a thorny one which has been hotly contested in several high courts across the country. The most recent order, however, not only seeks to regulate the Maximum Sale Price (“MSP”) of such cotton seeds, but also envisages government interference in licensing arrangements and private agreements in a manner that is legally and constitutionally suspect. The order states that it has been passed with the objective of “provid(ing) for an effective system for fixation of sale price for cotton seeds to ensure their availability to the farmers at fair, reasonable and affordable prices”, but the measures that it envisages do not seem to further that object. Without going into too much detail, it would be apposite to briefly summarize how Bt cotton is actually sold in the market in order to critique the order in a constructive manner. Typically, agricultural biotechnology companies like Monsanto undertake in an activity known as gene introgression by virtue of which genes of a bacteria known as Bacillus thurgingiensis (“Bt”) is inserted into cotton seeds bred by Indian seed manufacturers which renders them immune from bollworms which are known to have a particularly pernicious effect on cotton crops in India. 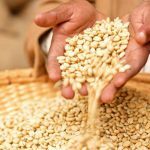 For performing gene introgression, Monsanto enters into licensing agreements with Indian seed manufacturers in accordance with which the latter have to pay “trait value” to the former for using its technology. 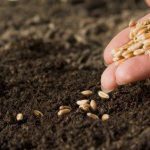 The “trait value” paid by seed companies, is the licensing fees paid by seed companies to Monsanto for using its patented BG-II technology along with the associated ‘know-how’ and ‘trade secrets’. 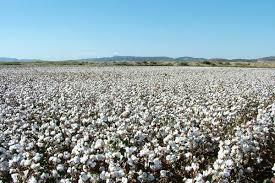 If the government’s objective was to lower the price of Bt cotton for the ultimate purchasers i.e. farmers, it would have made sense to confine the scope of this order to regulating the MSP, but the order is crafted in a manner that is likely to further the interests of seed manufacturers to the exclusion of all else. This claim is based on three reasons. 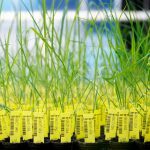 First, clause 5.5 of the order states that the government can not only fix the MSP, but can also regulate the license fee including the “trait value” and royalty that seed companies pay to biotechnology companies. Second, clause 5.8 states that all license agreements must be in the format prescribed by the government. Finally, clause 5.3, which sets out the composition of the committee that is responsible for advising the government on the imposition of the MSP, does not recognize the need to have any representatives from biotechnology companies, without whose ingenuity the GM industry would come to a standstill, on the committee. A closer examination of the circumstances that resulted in the notification of the order leads one to the inexorable conclusion that the order was passed in response to mounting pressure from seed manufacturers, led by the powerful and influential National Seeds Association of India, who have been repeatedly demanding that the Government take robust action to bring the “trait value” under control. As Prashant has rightly noted, here price control orders of states like Maharashtra and Gujarat merely dealt with the MSP and did not interfere with the fixation of “trait value”, as a result of which Monsanto rejected demands from seed manufacturers to reduce the trait value and asked them to pay the fee set out in the licensing agreement. Therefore, it can be safely said that this order was actuated by the twofold objective of remedying this situation and assuaging the unease of the rapidly burgeoning hybrid seeds industry, whose demands were also backed by a favourable opinion from Justice BN Srikrishna. The wider ramifications of this order are troubling to say the least. For one thing, it effectively amounts to the grant of a license in the nature of a compulsory license to seed manufacturers to use the patented genes of biotechnology companies under the garb of promoting equitable distribution of an essential commodity. Instead of invoking the provisions of Section 92 of the Indian Patents Act, 1970 which empowers the government to grant a compulsory license in the case of a national emergency or extreme urgency, the government seems to have surreptitiously arrogated to itself the power to fix the licensing fee for the use of a patented invention. At a time when the government is pulling out all the stops to guarantee stronger intellectual property protection, this type of back-door curtailment of IP rights is all the more appalling. The short-term impact of this order remains to be seen, but it is likely to disincentivise research and development, chill innovation and impede competition in the GM industry in the long-term. Patent Punches over Bt Cotton (Monsanto vs Nuziveedu): Bt it or Eat it? India creates a ‘licence of rights’ system for GM patents: Is it legal?